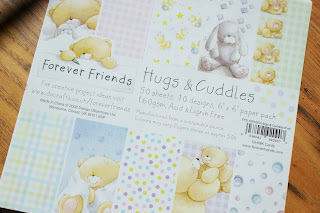 And another card designed using the "Forever Friends - Hugs and Cuddles" paper pack. 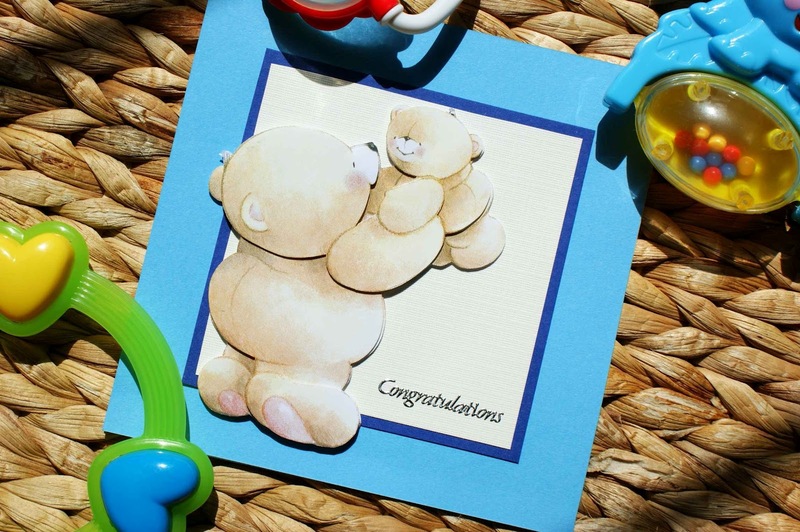 Congratulations on new baby boy arrival - card in blue. 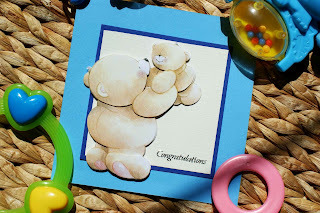 Find the picture of the 2 bears with the pink-checks background. You will need 3 of those. From the 1st picture card cut out an outline of the hugging bears. 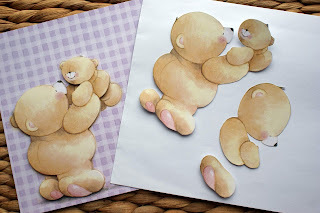 From the 2nd picture cut out an outline of the big bear holding a small bear (without little bear's legs, right ear and right hand and without big bear's left ear and part of left leg) as shown in the picture above. From the 3rd picture card cut out an outline of the big bear's right foot, right hand and head as well as the little bear's left hand as shown on the picture above. Take white card 15cm x 30cm and fold it in half. 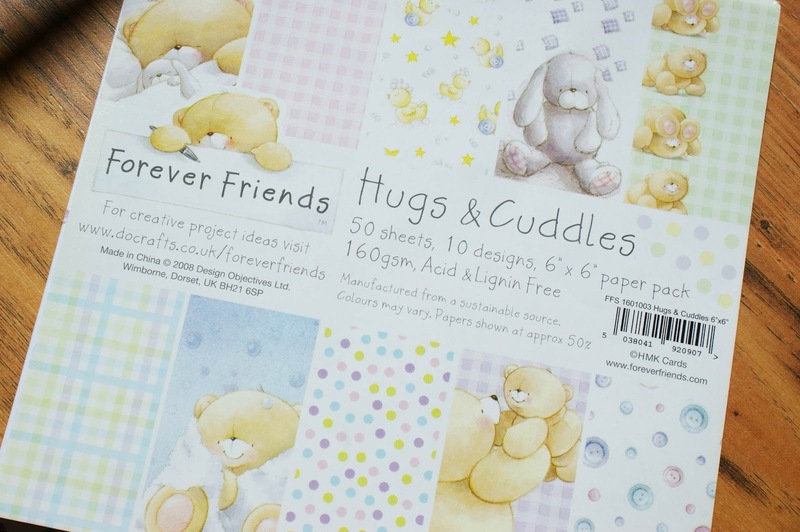 Take a pastel blue card paper (size 15cm x 15cm) and using double sided tape attach it to the white card. Take a cream card (9 x 9 cm) and attach it to the dark blue card (10 x 10 cm) using double sided tape. 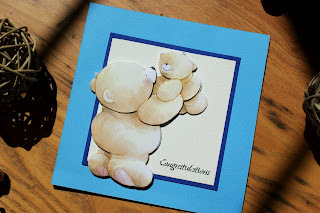 Attach the cream-dark blue card paper to the middle of the pastel blue card using foam pads. Now it's time to use the cut out parts of the bears. 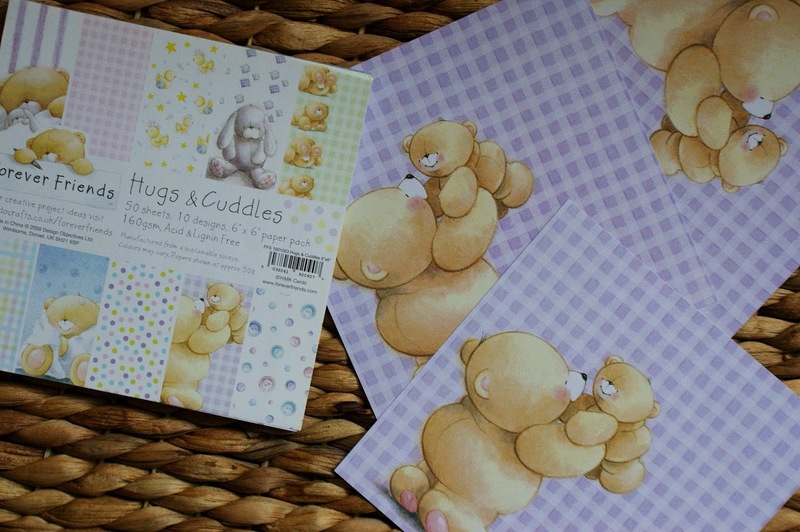 Take the cut out outline of the hugging bears from the 1st picture card and attach it to the cream card using double sided tape. 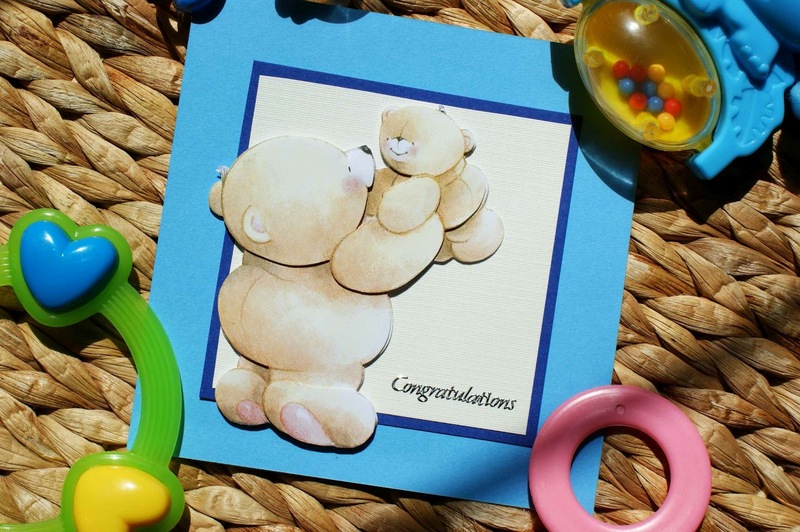 Then take the cut outs from the 2nd picture card and attach them to the card over the picture of the bears using foam pads. 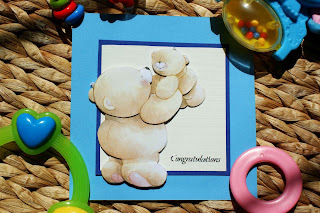 And then take the cut outs from the 3rd picture card and again attach them to the picture on the card using foam pads, creating layers.